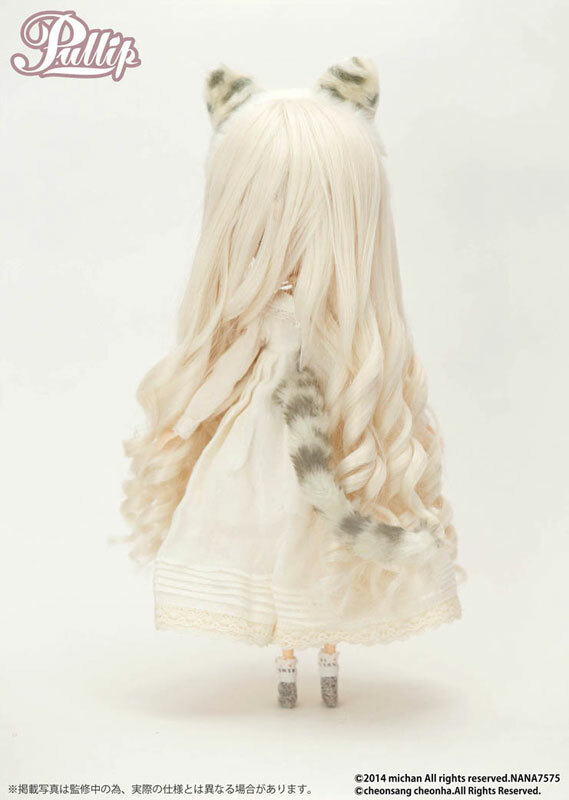 Pullip Nana-chan is based off of the cat of popular singer Mi-chan in addition to being a solo artist he plays with his band Root Five. 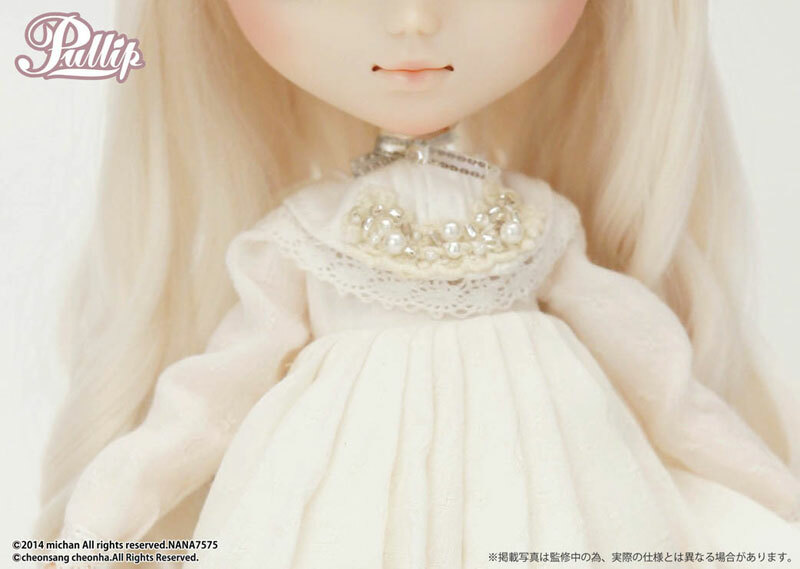 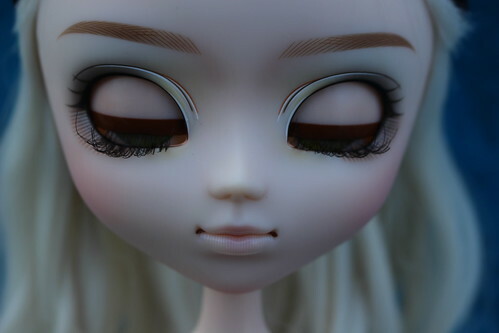 Pullip Nana-chan was featured on the 7-5 drowsy special CD jacket and was subsequently released as a Pullip. 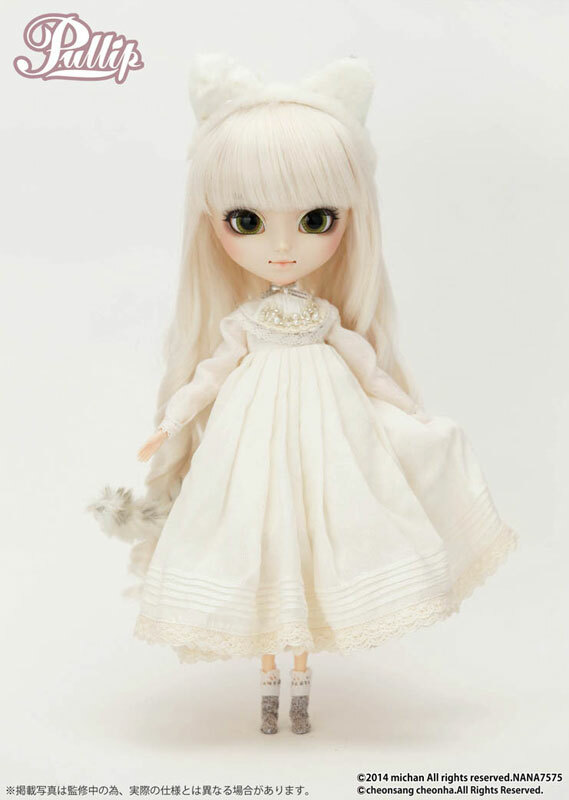 Two versions of Mi-chan as a Taeyang were also released standard edition Mi-chan Gothic Mode Version as well as a special limited edition version of Mi-chan! 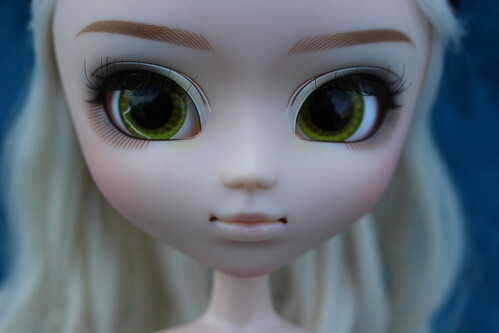 Comparison: Pullip Nana-chan with Pullip Kirakishou (2014 Version)- requested because of similar color scheme and released within fairly close proximity of one another. 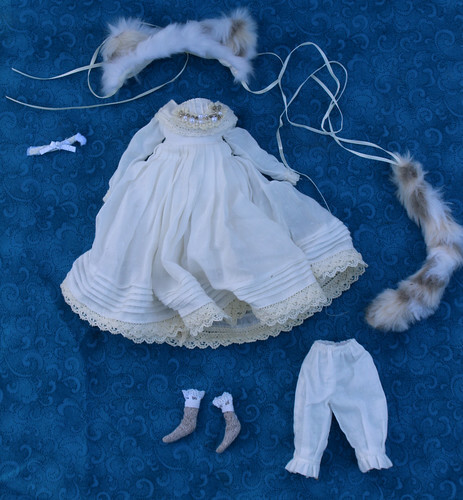 Stock: Pullip Nana-chan’s stock consists of a dress, kitty headband, cat tail, choker, bloomers and socks (no shoes). 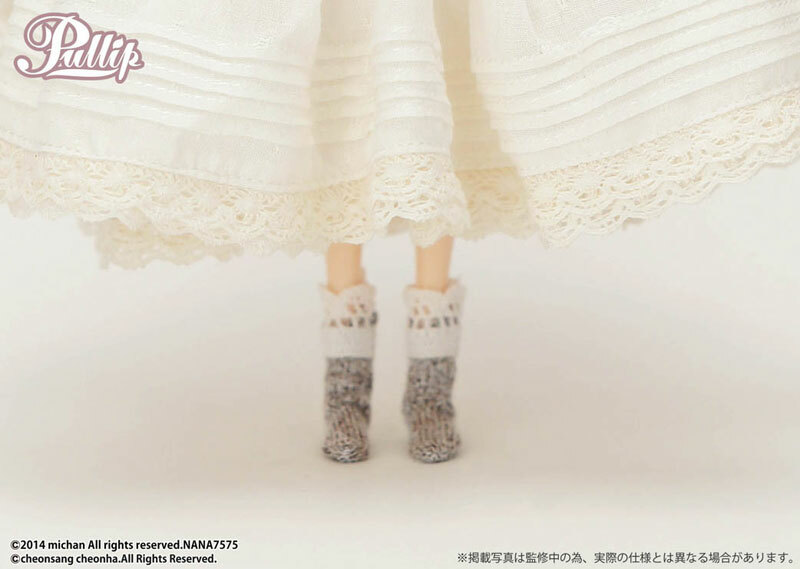 Special Notes: Pullip Nana-chan is one of the very few Pullips who do not come with shoes, the other’s are Pullip Nahh-ato and the My Select Pullips. 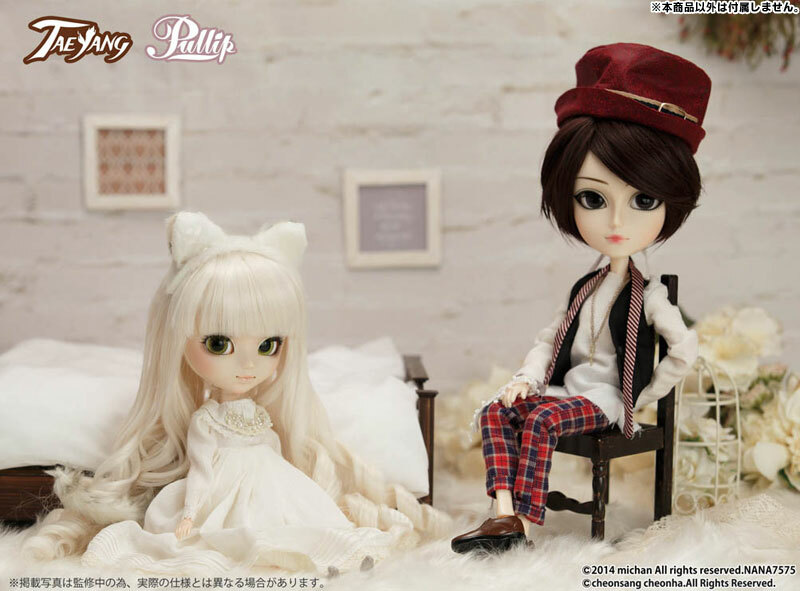 Similar Doll Recommendations: Taeyang Mi-chan and Taeyang Mi-chan Gothic Version.